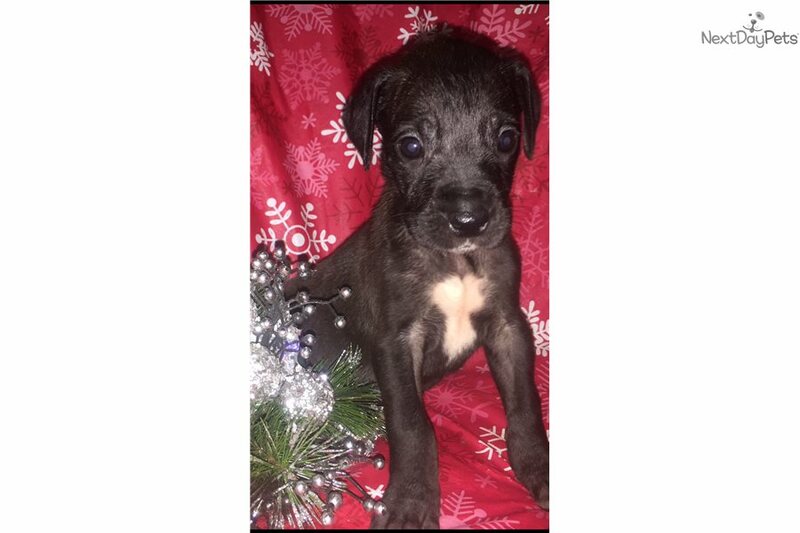 This Great Dane nicknamed Victoria sold and went to a new family. 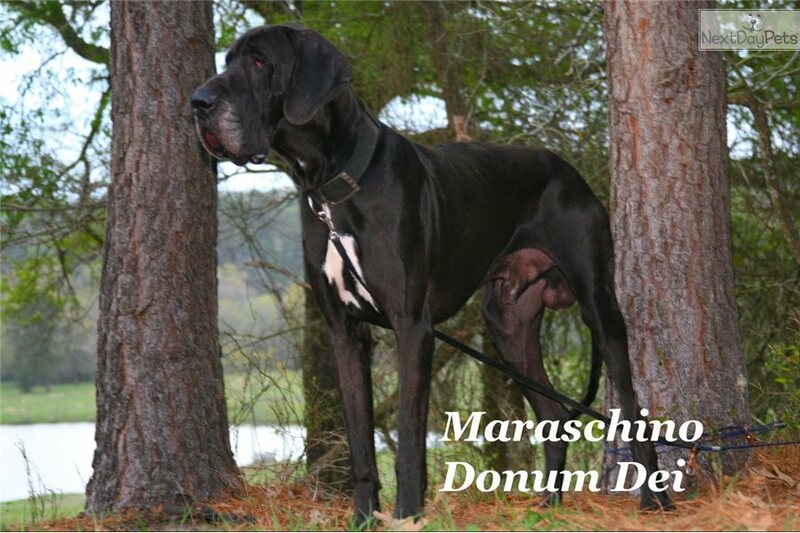 AKC Great Dane Black Female available from a Serbian Import Sire, Maraschino Donum Dei, and our largest female, Adventure's Chaotic Serenity. These parents pass on great intelligence and a calm demeanor to their pups. 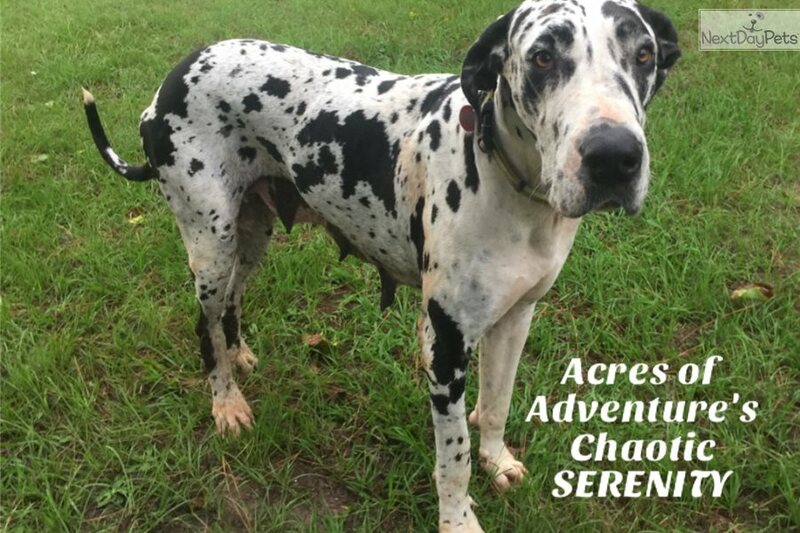 We have kept three females from Serenity's past litters for our breeding program. That should say what we feel about this amazing lineage! Come and get an amazing beauty for your home. Pups come with a health guarantee, vaccinations, dewclaws removed, microchipped, AKC pet registration and lifetime return. Please call for more information or to visit. 713-542-0533.